Toyota's plant in Woodstock, Ont., is the most recent auto assembly plant to be built in Canada. It opened in 2008, supported by $125 million in government incentives. Canada’s auto industry could be on a slippery slope to extinction unless major changes in government policy and attitudes about investment are enacted to save it, experts say. The significant decline thus far is due in large part to increased competition from cheaper places to do business such as the southern United States and especially Mexico. Low-price labour and numerous free-trade agreements have driven automakers to build new plants in that country. And Canada appears to be idly standing by and watching. Industry executives and outside experts said the likelihood of Ontario attracting a new auto plant, like the one announced by Toyota and Mazda in Alabama earlier this year, is a long shot at best. Numerous factors, ranging from high labour and electricity costs to a hesitancy from government to match the massive tax incentives offered by some U.S. states and Mexico, work against Canada when it comes to attracting massive auto investment. Still, the biggest negative factor is the regional and global trade environment, which has favoured free trade over the past several decades and has promoted major investments in lower-wage countries such as Mexico. 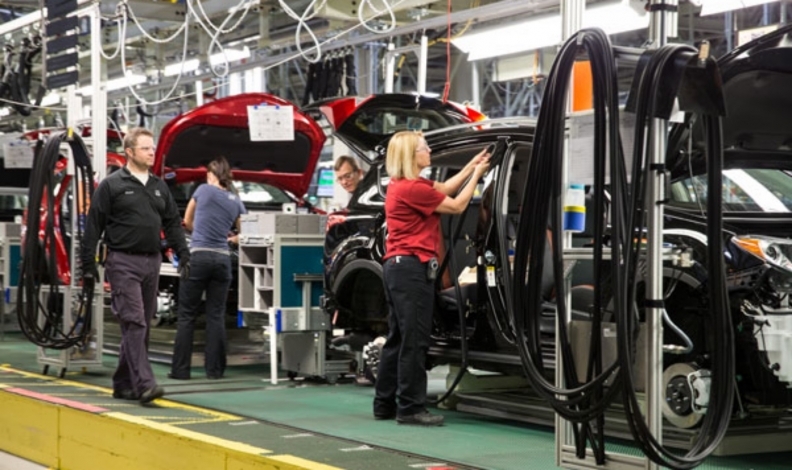 Since 2004, Canadian auto production has dipped 23 per cent to 2.1 million vehicles, according to the Automotive News Data Center in Detroit. Mexico, meanwhile, has more than doubled its auto production to 3.8 million vehicles. U.S. President Donald Trump has been desperately trying to negotiate a new North American Free Trade Agreement, in effort to bring auto manufacturing — among other industry — back to the United States. He’s also threatened a 25 per cent tariff on all imported light duty vehicles, a potential job killer to Canada, unless the Great White North is exempt from such a measure. Jeff Rubin, a senior fellow at the Centre for International Governance Innovation in Waterloo and former chief economist at CIBC World Markets, said that if Ontario wants to attract a new auto plant, it should hope the United States implements tariffs on Mexico and other nations while exempting Canada, creating a North American trade environment similar to the pre-NAFTA one. The industry would surely rail against such a decision, Rubin said, and many automakers might balk from investing at all in North America. But for those that stay, it would be in their interests to invest in American and Canadian auto production, he said. “You have to understand that what has worked well for industry profitability has been a move of production to Mexico,” he said. Short of hoping the United States puts tariffs on nations other than Canada, Ontario faces an uphill climb if it ever hopes to have a new assembly plant built in its borders, according to the experts. Several factors, including labour costs, incentives and a need for leadership are at play they said. Southern U.S. states such as Tennessee have been aggressive with tax incentives to entice new auto investments. For starters, Mexico and many of the southern U.S. states that have been chosen for new plant sites have been aggressive with tax incentives. The Alabama Toyota-Mazda plant, for instance, will receive as much as US$700 million ($902 million) in incentive packages from the state and the city of Huntsville, where the plant will be located. 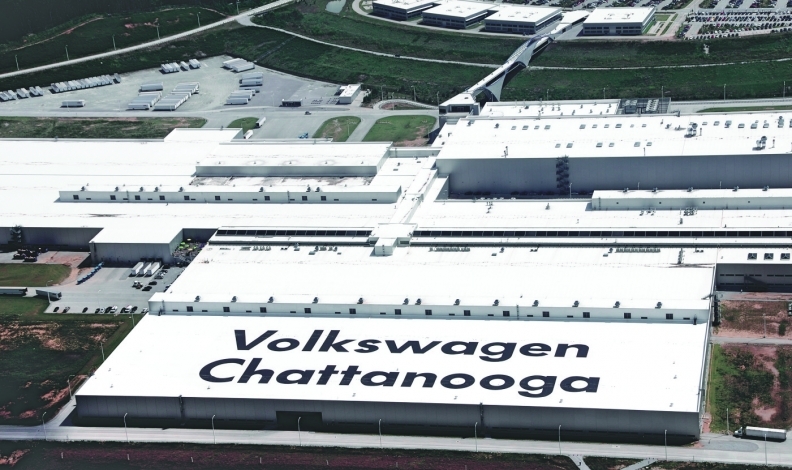 Likewise, Volkswagen has received about US$800 million ($1.03 billion)in incentives from federal, state and local governments since VW announced it would open a plant in Chattanooga, Tennessee, in 2008. Tony Faria, an auto expert at the University of Windsor, said federal and provincial government officials have been reluctant to commit to incentive levels that large for any automotive project. He used the federal Automotive Innovation Fund as an example. The program is designed to allow up to $500 million to be contributed toward the construction of greenfield projects. According to the federal government’s website, the fund has supplied funds for 10 projects in Canada since 2008, the largest and most recent of which was $102 million to Ford Motor Co. in 2017 as it upgraded its Canadian plants. Faria said that while the fund does not hurt Canada’s chances for investments, government must commit more funds to attract automotive developments, and leaders should more effectively communicate an automotive manufacturing strategy to automakers and suppliers. Mexico, meanwhile, has a host of advantages over Canada and the midwestern United States when it comes to attracting investment. For instance, the country has free trade agreements with 45 countries, making it an attractive place for investment for automakers who hope to ship vehicles built in North America to other continents. And labour rates are much lower than in Canada or the United States. According to a 2017 report by the Center for Automotive Research in Ann Arbor, Mich., automakers paid their workers in Mexico about US$5.21 ($6.71) per hour on average. Workers at Mexico parts plants were paid less than half of that. According to Statistics Canada, Canadian vehicle assembly workers made an average of $34.85 per hour in 2016. While labour accounts for only a small fraction of a vehicle’s overall costs, Rubin said automakers have been under pressure from shareholders to take advantage of Mexico’s low wages to boost profits. Faria said Canada needs government and industry to step up to create a vision for manufacturing in the country if it hopes to remain a major manufacturer. He pointed to Toyota’s Woodstock, Ont., plant that builds the RAV4. Opened in 2008, it is the last auto assembly plant to be built in Canada. Toyota spent $1.2 billion to build the plant, in addition to $125 million in government incentives. “A lot of the reason for Woodstock was the really, really hard work of Ray Tanguay while he was at Toyota Canada and was arguing and arguing for more manufacturing in Canada,” Faria said, adding that he does not see that type of leadership in the industry today. A 2017 study by Charlotte Yates, the principal investigator at the Automotive Policy Research Centre at McMaster University in Hamilton, and Wayne Lewchuk, a labour and economics professor there, came to a similar conclusion. “In addition to offering monetary incentives, governments can shape perceptions of a location’s attractiveness,” the study reads. In the meantime, though, Faria said Canada’s next-best shot at attracting a new plant might be when a Chinese or Indian auto manufacturer looks to build an assembly plant in North America.